Over the past fiscal year, we had 72 volunteers and interns provide 4,714 hours of service to Insight! That's the equivalent of over 2 full time staff positions or a donation of $115,445! "I have really enjoyed my time at IMCC, especially working directly with people in the Sunshine Room. Three friends I made were Jacob, Paul and Doug*. Jacob used to be a carpenter and would tell me stories of how he built houses and other creations. Paul used to work at the U.N. and told me stories of his visits all over the world. Doug used to bike a lot and fix bikes." Many thanks to the FUUSE program for their continued support of our center, and to all of our volunteers who make friends with our participants and truly make a difference! Want to learn more about volunteering? 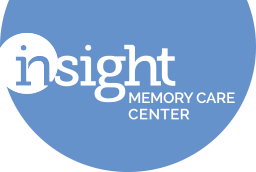 Contact Maria Hoffman at 703-204-4664 or maria.hoffman@insightmcc.org or join us for an upcoming Volunteer Orientation, held the third Tuesday of every month from 3:30 to 4:30 pm.